The Barbados Government pays the cost of education of Barbadian students at primary, secondary and tertiary levels, this includes provision of textbooks. This strong emphasis on education has resulted in a literacy rate estimated at about 98% - one of the highest in the world. Primary education begins at age 4 and continues until age 11, when students sit the Common Entrance Examination. There are 74 Government primary schools, as well as several privately-run primary schools. Secondary education is provided for children aged 11 to 18 years. 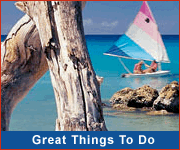 At age 16, students sit the Caribbean Examination Council (CXC) examinations - the equivalent of GCE O-Levels. At about age 18, those students who continue at school can sit the Caribbean Advanced Proficiency Certificate (A-Level) also set by CXC. Most Government secondary schools (of which there are 23) are co-educational. There are also several private secondary schools. This College, opened in 1948, is co-educational and provides training for non-graduate and graduate teachers. This Polytechnic provides day and night courses and programmes in fields such as electrical, building and engineering trades, commerce, agriculture and garments. 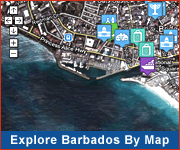 The Barbados Community College provides a range of programmes in academic, vocational and technical areas and offers a number of Associate Degree programmes. Divisions of the college include: fine arts, liberal arts, science, technology, health sciences and hospitality studies. The University of the West Indies (UWI) comprises three campuses spread across the Caribbean - Cave Hill (Barbados), St. Augustine (Trinidad) and Mona (Jamaica). The University offers a range of undergraduate and postgraduate degrees, diplomas and certificates in areas such as the humanities, science and technology, computer science, engineering, education, medicine, law and agriculture. 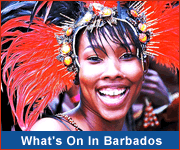 Because of its high educational standards and quality research, the UWI has been able to attract some of the brightest students from the Caribbean and beyond, and it maintains strong partnerships with universities in the U.K., U.S.A, and Canada, including Oxford, John Hopkins and McGill. 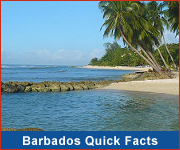 Barbados offers a number of private schools at both the primary (ages 4-11) and secondary levels (ages 11-16). The Caribbean Examinations Council (CXC) was established in 1972 by an Agreement among English-speaking Caribbean Commonwealth territories. CXC is responsible for the provision of secondary school-leaving examinations in the region.